Tavada ek găhăṇiyak by Aśōka Dharmaratna. Koḷamba : mudraṇaya: Mādhava, 1973. From the University of Chicago Library. තවද එක් ගැහැණියක් Tavada Ek Gahaniyak by ධර්මරත්න අශෝක Dharmaratna Ashoka. Another instance of being unable to find information about the book or author, in English anyway. 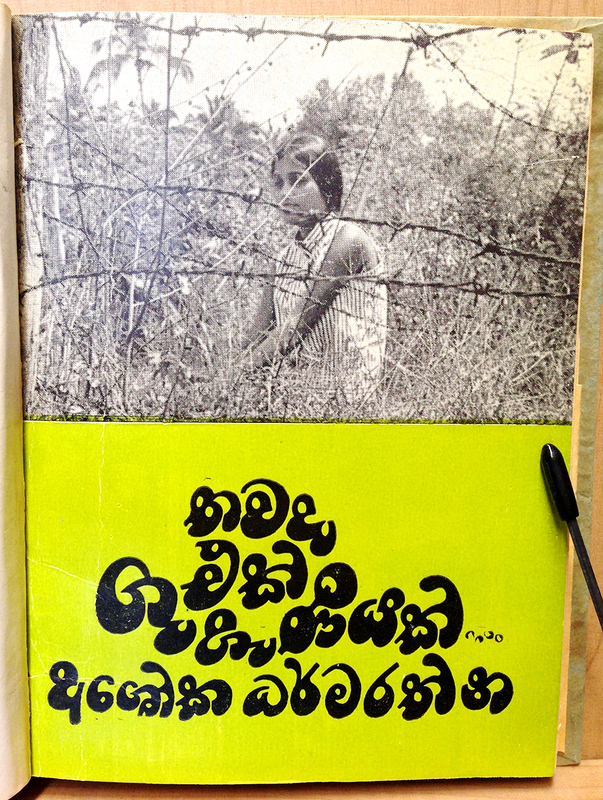 Nevertheless, I love the styling of this Sinhalese lettering. The artist added weight to each character in such a way that the letters look almost like a cluster of bubbles or black beans, with the counters and negative spaces looking more similarly sized than I typically see. Lovely!